Our new Flexiride axles from the Universal Group provide one of the smoothest rides available for your trailer. Traditionally, trailer axles relied on the compression of leaf springs to allocate suspension support. Flexiride Torsion axles provide this needed support in a different way. 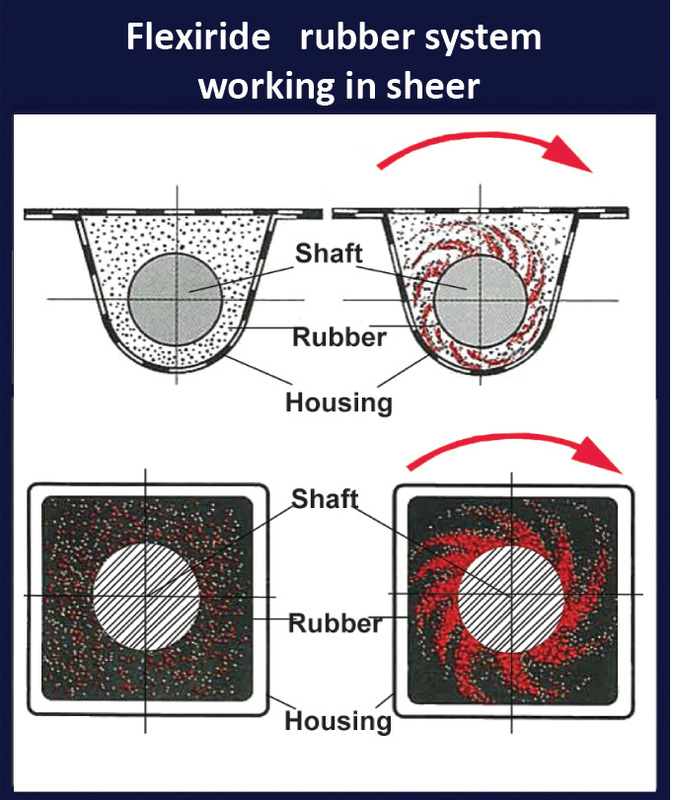 Using a hydraulic press, hardened steel shafts are pressed into into a solid rubber cartridge within the half axle tube. Torsion axles use the shear resistance of this steel rod within the stiff rubber cartridge to provide shock absorption. Torsion axles are able to provide better vibration dampening and shock absorption than their conventional leaf spring counterparts. Flexiride axles are offered in a variety of weight capacities ranging 425 lbs to 7000lbs and in a variety of hub configurations. Several are available with bare spindles, idler hubs and electric or hydraulic drum brakes. A unique feature of the Flexiride axles is that several are offered with an adjustable starting Angle. This attribute allows you to modify the ride height of your trailer. This makes their axles a more versatile replacement for traditional torsion axles that come with a fixed start angle. Another versatile benefit of the Flexiride torsion axles is their two piece “half axle” design. At one time, replacing a torsion axle was a problematic process. Traditional torsion axle replacement demanded that the new axle be a perfect match in every way to the old one. 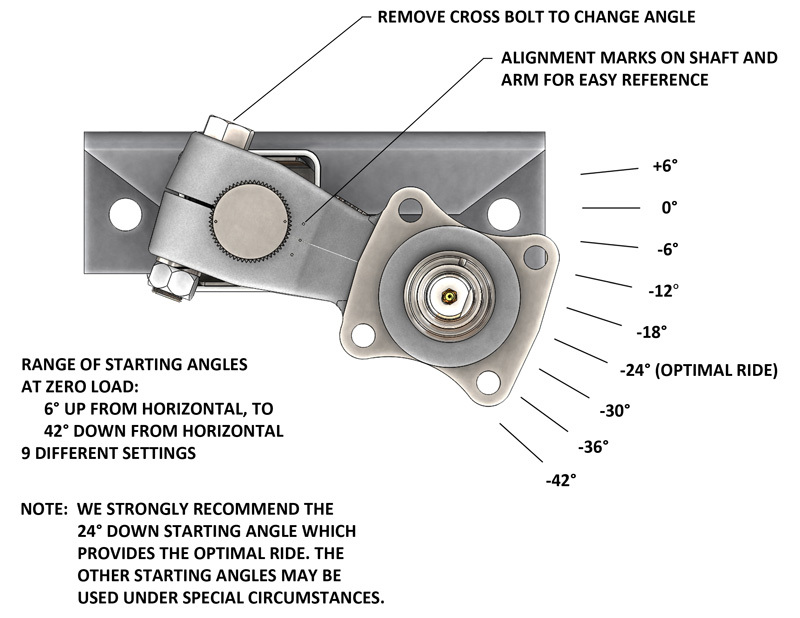 Unlike leaf spring axles that have some fitment wiggle room, traditionally torsion axles came with pre-welded mounting brackets at a preset distance. Because of this, the axle’s mounting brackets were either a perfect match to mount to the trailer’s frame or it would be incompatible. Flexiride axles are an excellent solution for a variety of trailer types as well. For people with utility trailers, the ability to weld the axle where you need it makes versatile enough to work on anything from a toy hauler to a log splitter. For boat guys with a deep V Hull, the ability to weld the axle to your trailer eliminates the need to find a torsion axle with a drop “v” center. For those not already aware, when loading a boat with a deep hull, the axle must be “v” shaped in the center accommodate loading and off loading. By offering the axle as two pieces, Flexiride axles are able to bypass this issue altogether. Flexiride axles are mounted to a trailer in two different ways. Axles between 425lbs and 3500lbs have a separate weld on plate that once attached, will provide the bolt on mounting point for the axle. Flexirides that are 5200lbs and greater must be welded directly to the trailer.